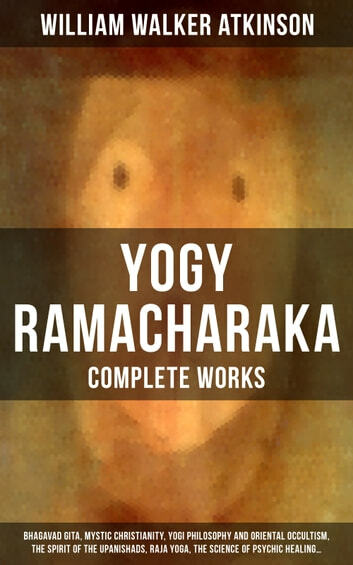 This carefully edited collection of Yogy Ramacharaka's complete works has been designed and formatted to the highest digital standards and adjusted for readability on all devices. The Hindu-Yogi Science Of Breath (A Complete Manual of the Oriental Breathing Philosophy of Physical, Mental, Psychic and Spiritual Development) Hatha Yoga or the Yogi Philosophy of Physical Well-Being The Science of Psychic Healing The Spirit of the Upanishads or the Aphorisms of the Wise Raja Yoga or Mental Development (A Series of Lessons in Raja Yoga) Gnani Yoga (A Series of Lessons in Gnani Yoga) The Inner Teachings of the Philosophies and Religions of India Mystic Christianity; Or, The Inner Teachings of the Master The Life Beyond Death The Practical Water Cure (As Practiced in India and Other Oriental Countries) Bhagavad Gita - The Message of the Master Fourteen Lessons in Yogi Philosophy and Oriental Occultism Advanced Course in Yogi Philosophy and Oriental Occultism William Walker Atkinson (pseudonym Yogi Ramacharaka) (1862-1932) was a prolific writer. 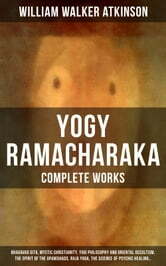 His works treat themes related to the mental world, occultism, divination, psychic reality, and mankind's nature.